This kennel was designed by and is manufactured for the Metropolitan Police Force of London. 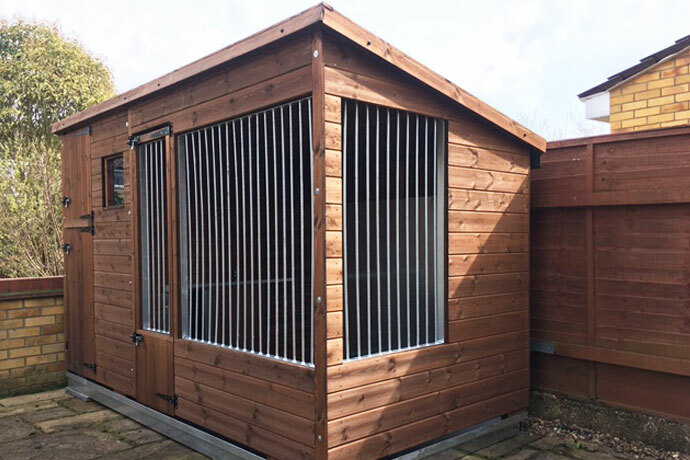 If you are unsure about the design of your dog kennel and dog kennel covered run, the Keston may be the kennel for you. Take advantage of a kennel which has been designed by professional dog handlers who have been working with dogs day-in and day-out. 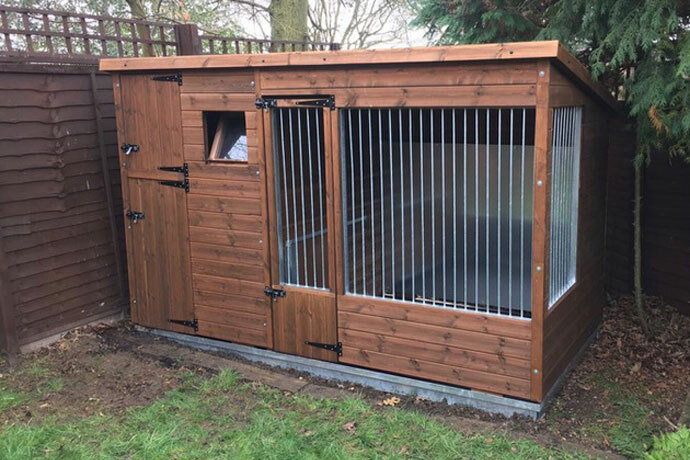 Take advantage of their experience and chose the Keston dog kennel and covered run which is built exactly to the Metropolitan Police standards and comes with bags of extras as standard to give a complete dog kennel solution. 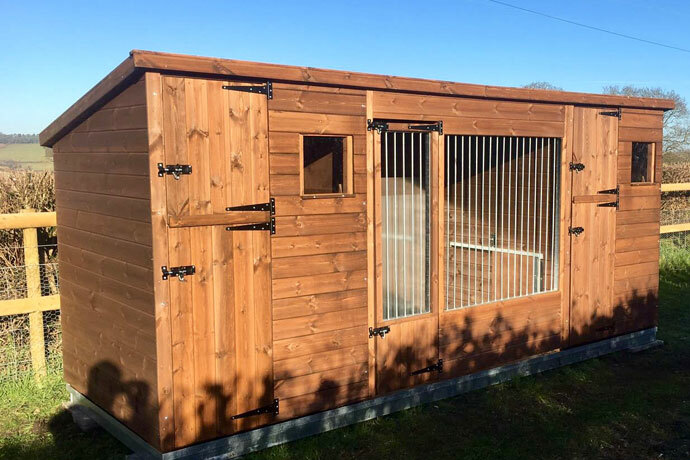 The Keston is packed with features that may only come has optional extras on other kennels but with this great design you get excellent value for money. The Keston kennel is lined with 6mm birch plywood, 12mm solid bar infills welded in angle iron frames, the whole unit is raised off the floor for ease of cleaning and washing out. The kennel also has a solid removable floor and bench area to allow much easier cleaning to the kennel area. All the materials for our wooden dog kennels are selected with quality and sustainability as our top priorities. The kennel is raised off the floor by 66mm with damp-proofed feet and comes as standard with mesh panels for the stable door and the run area has bar infill’s.